Not a user? Sign up. Please fill in the form to continue with your registration. Already a user? Sign in. The hosts file is a plain text file used by an operating system to map hostnames to IP addresses. In modern operating systems, the contents of the hosts file is commonly used to other name resolution methods, such as the Domain Name System (DNS). Unlike remote DNS resolvers, the hosts file is under the direct control of the local computer's administrator. Meaning that if you wish to make alterations to your website before its location is configured by your remote DNS, you can do it by editing the hosts file on your computer. By emulating DNS manually you gain access to your website before your Domain name is configured and before your website becomes available to the public. When your remote DNS procedure is complete, you can delete the tweak you've performed since it is no longer needed. Assuming the Windows boot drive is C:, the hosts file is located in the following path: C:\Windows\System32\drivers\etc\hosts. 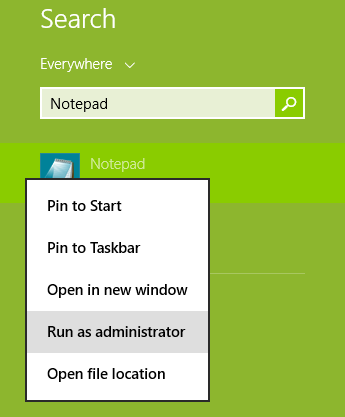 In Notepad, click File > Open, follow the path above and open the hosts file. Make the necessary changes and save the file. Make the necessary changes and save the hosts file. As in macOS, the hosts file is located in /etc/hosts in Unix and Unix-like operating systems. Similarly, the hosts file can be edited in the terminal with your text editor of preference. Using the same example as above, type the following in a terminal window.